Paltalk is a free video chat IM application that allows you to make free video chats with your friends from all parts of the world. Paltalk has the largest chat community on the web with over 4 million subscribers worldwide. Paltalk messenger has over 4000 free video chat rooms organized by a number of different topics ranging from PC Tech to Education, business, games, countries, sports to computers and technology etc. Paltalk also allows users to create their own public virtual chat room. Paltalk is a great way of meeting new friends, staying in touch with the old ones. You can even manage your Yahoo messenger, ICQ and AOL contacts all at once with Paltalk because it supports multiple messenger systems. Paltalk is compatible with multiple OS like Windows, iOS, Android and Blackberry. Paltalk has 3 versions called Paltalk messenger (for PC), Paltalk Mobile (for mobiles) and Paltalk Express (Web browsers). Supports multiple chat systems: allows you to chat with your Facebook, AOL, Yahoo, MSN, ICQ and Google Talk friends in one place. Video Conferencing: this is one of the greatest features of Paltalk; it allows you to make video conferencing with multiple friends. Video Messages: you can drop a video message for an offline friend. 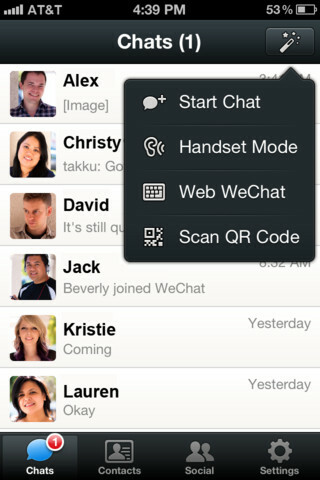 Group Messaging: This is yet another awesome feature of Paltalk that allows group chatting at once. Visit Paltalk and download the software, if you want a mobile version click on the ‘Mobile’ button to reveal the different versions of the mobile application for you to choose your version. On successful download install the free video chat application on your computer or mobile phone. Then launch the install application and a registration form will be displayed for you to fill in your information and register. When you have completed this you are now ready to start making new friends and enjoy free video chat with your friends. Paltalk is indeed an awesome free video chat application that lets you explore the world and meet new people from different backgrounds and share ideas. This application can also be used as an educational tool to interact with people to teach and to learn. Explore the opportunities of this application and enjoy the diversity of its endless possibilities. If you have any comments or suggestions please use the comment form below. Remember to subscribe to my RSS feed. Share this post wit your friends if you find it interesting. Am glad you found my blog interesting, share with your friends so they can learn more.